Officials with PDVSA rejected allegations that the Venezuelan state-owned oil firm plans to lower crude exports to Cuba. “There has not been any issue or reduction with the supply of Venezuelan oil to Cuba. There is a technical and engineering difficulty at the Cienfuegos refinery,” said Luis Morillo, PDVSA's general manager in Cuba, at a press conference on Tuesday. "This is a technical problem all refineries are facing. We will close certain areas of the plant for 120 days over the course of the year to fix these issues and update certain processes," he mentioned. 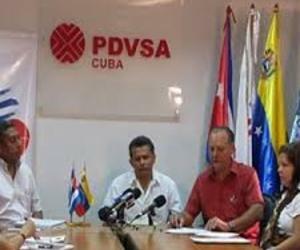 Recent reports alleged that PDVSA in the first half of 2016 slashed oil exports to Cuba by 40 percent to some 53,500 barrels per day. Around 4 percent of Venezuelan oil exports are sent to Cuba, and the island is a member of the Petrocaribe alliance of nations receiving preferential terms for oil. Yet PDVSA has also purportedly lowered total shipments of oil to Cuba by 19.5 percent amid difficulties in the production of Venezuelan oil.